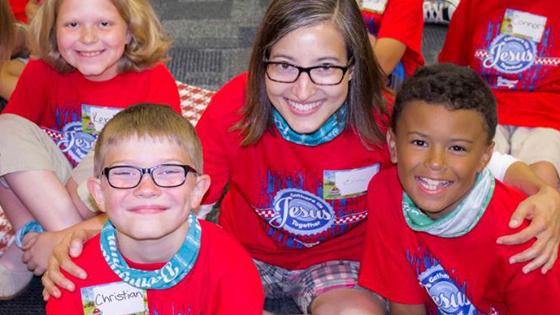 Volunteers thrive when their skill set “matches up” with their role in VBS. Get the conversation rolling with our fun (and shareable!) VBS volunteer quiz. While not scientific, this quiz is an easy way to match up personalities and gifts for VBS volunteer opportunities. Ask tenured members to help you access a resource pool of volunteers, such as those who teach Sunday school or contribute to other children’s ministries, including parents and teens in your church. Boost confidence with early and consistent training! Help leaders and volunteers get familiar with the VBS theme by directing them to our online site training. There, they can find sample leader guides, photo albums, job descriptions, how-to videos, and decorating helps. And, since it’s all online, volunteers can access training at their own convenience. Your Director Guide includes practical help for working with kids with special needs and suggestions for effective discipline. Support volunteers with childcare while you offer the training and during VBS. Volunteers are motivated to be a part of VBS because of their passion to serve Jesus, but it's nice to acknowledge them for their service. Even a little acknowledgement goes a long way. Be sure to use opportunities, like a Volunteer Commissioning in a worship service, to demonstrate the need for people to make a ministry successful. Make it fun so volunteers feel appreciated and interest is piqued for future volunteers. 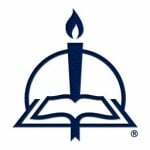 See the Director CD and Pastor’s Overview for outlines and suggestions. Purchase T-shirts and make nametags to identify volunteers. Connect with every volunteer at least once a day during VBS. Create a “volunteer lounge” with refreshments and schedule breaks. VBS Tote Bags from CPH make an excellent appreciation gift. Provide a suggestion box to solicit their valuable input. Be intentional to find ways to improve your program each year, together. Be sure to thank volunteers at the daily closings, in the Closing Program, and in the worship service following VBS. Communicate the impact of VBS and the service of the volunteers in a follow-up thank-you letter. Let volunteers know about plans to follow up with nonmember VBS families. Knowing the impact that they helped make will encourage volunteers to come back and serve in VBS year after year. Sarah Maney loves being a part of children's ministry. A mother of two, Sunday school teacher, and avid fan of Vacation Bible School, Sarah loves helping children learn about Jesus.